Size is one factor in choosing an induction cooktop. Some induction cooktops feature only one or two burners while others have four. An induction cooktop cooks food without the type of heat generation required from electric or gas ranges. Heat is created magnetically, and almost all of it stays confined to the cookware and the food inside it. These cooktops can cost several times more than electric and gas models. These cooktops come in a variety of sizes, so it is important to know the size you need before shopping and to determine any additional features you prefer, such as element wattage, pan detectors, and the number of elements. If you are replacing a freestanding range, an induction cooktop and oven combination may be your best choice. All induction models should have standard features such as a smooth top and faster heating, so your choice will spring from the size and type you need. There are cooktops that come separately, for those who want to replace or buy a built-in variety; stand-alone models have an attached oven. The sizes of both are fairly standard when compared to gas or electric models, so replacement should be straightforward. The cooktop itself may vary in the size or power of the elements where the pots and pans will sit. Elements with higher wattage create heat more quickly and can reach higher temperatures than lower wattage elements. Be sure to look at the cooktops for limitations, as some models cannot have all four elements on high at one time. Another variation is the induction cooktop that has five elements instead of four, which can be helpful for those who cook several things on the stove top at once. There are also cooktops that have special features, such as pan detectors that automatically sense the size of the pan to generate the appropriate amount of heat energy. Another thing to consider when purchasing an induction cooktop is the type of controls it uses. Some touch controls may wear out more quickly than knobs, switches, or buttons. Some models have almost two dozen different power settings, and pre-sets for such things as boiling water or keeping cooked food warm. Child-safe lockout and automatically timed shut-off are also safety features you might want to consider when purchasing an induction cooktop. These types of cooktops look similar to electric versions that have solid-surface tops. The induction coils are hidden beneath the surface, much like the electric coils are hidden in some electric models. Induction heating uses electricity to produce magnetic fields that heat the metal cookware touching the surface. 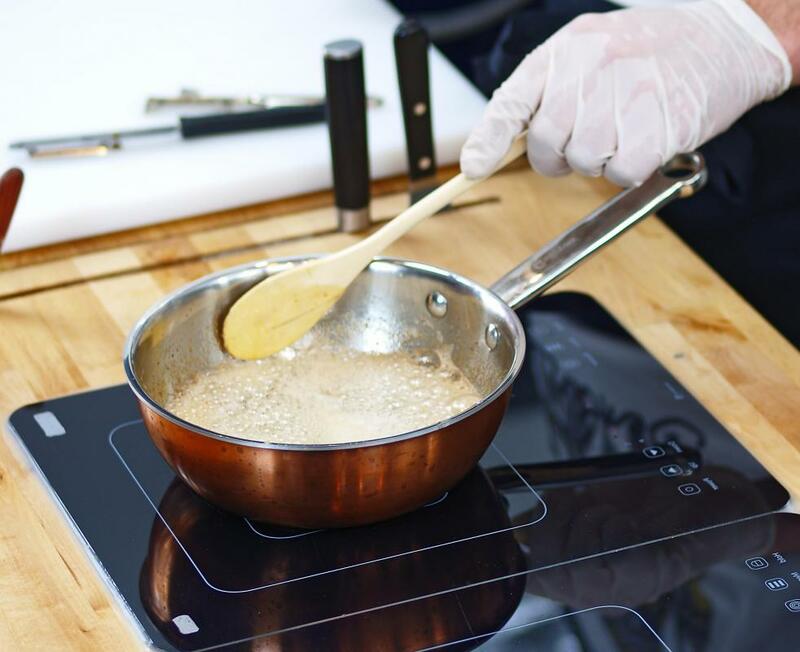 Only metal pans that react to a magnet can be used for this type of induction cooking, so you might need to buy new pans along with your new cooktop.